Wild caught shrimps are an excellent source of protein, and contain a small amount of fat, which is about 75 grams of protein to every gram of fat. Shrimps are packed with omega-3 fatty acids, vitamin B12, and D. Unfortunately, most Americans do not get these nutrients, as the shrimp sold in the US has a completely different origin. Vietnam is one of the greatest importers of shrimp in the US, and Americans get over 100 million pounds of shrimps every year, or about 8% of all the shrimp cooked and consumed in the US. Americans have gone crazy for these shrimps, which actually triggered a competition in the market for seafood. Producers have lowered both safety and health standards in order to keep up with their competitors. Researchers have found that farmers in Vietnam freeze the shrimp before exporting it to the States. Here is the bad news. They use water that is not fit for consumption. Seems gross, right? Mansour Samadpour, a microbiologist specialist in investigating water used in farms for shellfish, says that this water actually triggers the development of numerous diseases and bacteria. But, shrimp is not the only seafood farmed in poor conditions in Asia. The research showed that tilapia grown in Yangjiang, China, is fed with feces from gees and pigs. It is clear that farm-raised seafood has worse quality than wild-caught one, because farmed produce contains dangerous amounts of antibiotics. Another study by Consumer Report confirmed that farmed seafood is not the best option, because farm-raised shrimp contains dangerous levels of bacteria and antibiotics, which is enough for consumers to avoid it. Farmed seafood is packed with dangerous bacteria and antibiotics, and it is absolutely confirmed by the fact that it is grown in health-threatening conditions. Shellfish live in tight spaces, which eases the spread of dangerous diseases. A group of scientists conducted a similar study and examined 342 frozen shrimp samples. The results showed that about 60% of the samples had vibrio, listeria, salmonella or E.coli. Scientists also found antibiotics, oxytetracycline, and enrofloxacin. Over 94% of the shrimp sold in the US is imported from Vietnam, India, Thailand and Indonesia. The farming conditions in almost every Asian country are extremely low and lead to the spread of terrible diseases and excessive use of antibiotics. 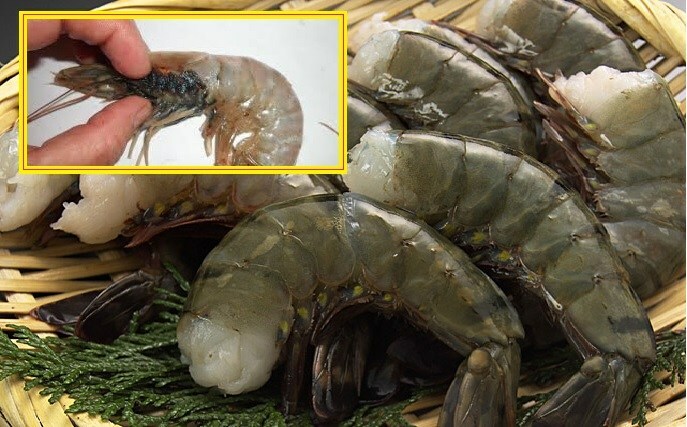 Consumer Report conducted another study which confirmed that raw, wild shrimp from the US contains low number of bacteria when compared to other samples. Avoid fish with such origin, and eat local and wild-caught seafood and fish. Although imported farmed seafood is a lot cheaper, it is full of toxins, bacteria and antibiotics.